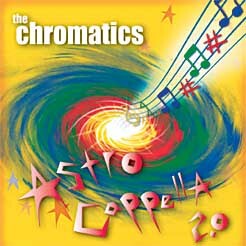 These CDs are available by credit card at A-Cappella.com or by check or money order directly from the Chromatics. We like to describe Wassailicious as "an unfiltered piquant melange of full-bodied holiday neo-classics. Pairs well with squid-ink fettuccine and mince pie." Committed has been described by the Recorded A cappella Review Board as "the most creative and interesting a cappella album", "an existential album", and "oddly pleasing". We're pleased to be odd. Read the reviews. Nominated for a WAMMIE (Washington Area Music Association award) for best a cappella recording. 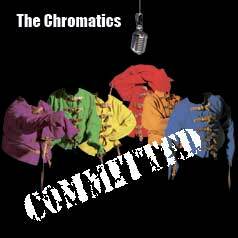 Primarily A Cappella review says: "The talented Chromatics are always entertaining, either touching us, teaching us or making us laugh." Sky & Telescope magazine says: "An astronomy class set to music." The Baltimore Sun writes: "Ear-catching music with an educational twist." Astronomy Today says: "Lively, entertaining, and educational"
Nominated for a Contemporary A Cappella Recording Award (best children's song: "Little Bit of Rock"), and two Washington Area Music Awards (WAMMIES) for best CD, and best children's recording. Visit the AstroCappella web site for more info! 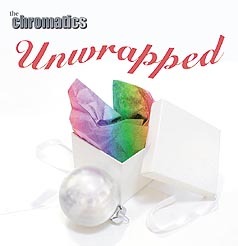 Primarily A Cappella review: "a bright, fresh Christmas CD, featuring standard carols and pop tunes, strikingly arranged"
Mainely A Cappella writes: "With a mixture of traditional holiday tunes done in their own wonderful style the Chromatics have produced a wonderful seasonal CD. The playfulness of the season shines through.... All in all, just like a holiday cookie platter - a little bit of something for everyone!" This was a 6-song EP of astronomy songs recorded under a NASA grant - out of stock - all songs are also on AstroCappella 2.0. 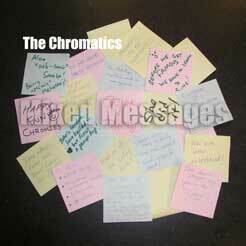 Mainely A Cappella review: "Laughs, strong arrangements, original tunes - it's all here on this debut"
The Contemporary A Cappella News says this about "Chromatic Organum": "great Gregorian Chant ripoff... authentic-sounding harmonies"
Content Copyright © 1998-2017 The Chromatics.